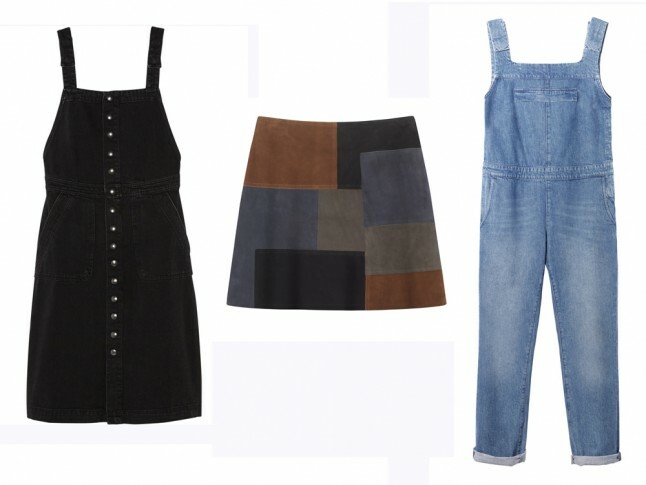 Dungarees, pinafore dresses, patchwork mini skirts – these are just some of the pieces that make-up the incredibly wearable new collection from MiH Jeans. If like us, you feel too much denim is not enough, you’ll appreciate MiH for their ability to make everyday, off-duty seperates far more appealing. Created in 2006 by Chloe Lonsdale, and originally named Made In Heaven (later shortened to be MiH Jeans) the brand initially focused on just jeans, but has since evolved to cater to all our wardrobe needs. Celebrity fans include Kate Bosworth, Julianne Moore, Jennifer Lawrence and Sarah Jessica Parker. And with price points remaining accessible (expect to pay £90 for a breton top and around £165 for a pair of signature cut jeans) this is one of the hottest brands to get on your radar. For AW15, the new collection has a distinct boho vibe, that appeals to not only our inner hippy, but our love of all things 70s-inspired. The collection is said to be inspired by Linda McCartney photography, which let’s face it, is about as cool as it gets. Prints are described as Optical Horse patterns, fabrics are luxe, and shapes super-flattering. For the new season, MiH has cleverly combined fashion’s unwavering obsession of 60s silhouettes and retro-style suede seperates, with hero denim buys that are sure to transform your wardrobe. Alongside all those autumnal staples, they’ve also included peasant blouses, boilersuits, mohair jumpers, printed culottes and metallic party pieces. You’ll also find a sleek tuxedo in a rich velvet fabric, that’s styled to perfection with a psychadelic shirt. Nothing says the weekend like an easy pair of dungarees, and you’ll find plenty of options here, too. The styling encourages us to push the boundaries when it comes to dressing up our denim, and ultimately, brings our trusty blues to the forefront of our wardrobes. What’s not to love?